If you're heading through the Detroit River, please stop at Gross Ile, Mich. (D-74) and say hello to newly appointed Port Captain Thomas Buckley. He has been boating for over 50 years. His first boat was a 12-foot plywood kit by Montgomery Ward. He moved up from the 12-foot to present 47-foot Bayliner. He has spent time cruising the Great Lakes mostly on Lake Erie, Lake St. Clair, Lake Huron and the North Channel. 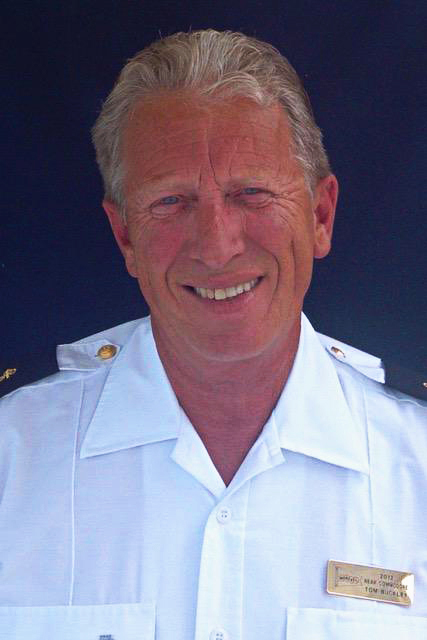 He is a prior Marine Deputy and Boaters safety instructor, as well as a Boating Accident Investigator. He completed USCG 100-ton Master Licensing Course. Tom and his wife Carol live aboard their 47 Bayliner Motor Yacht from April to November. He is a Past Commodore for the West River Yacht & Cruising Club (2014).